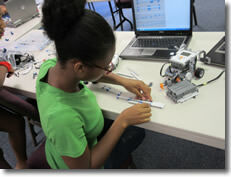 STEM for Kids® provides educational enrichment in Robotics, Engineering and Computer Programming for children ages 4 - 14 through camps, afterschool programs, in-school field trips, workshops in schools and outside community spaces. Make a lifestyle change using our asset-lite system. Work when you want and from where you want - business management from your home office; programs at community spaces. Leverage our proprietary Territory Management Process (TMP). Our processes, diligently crafted and baked with experiences, are designed to be simple yet effective in helping you set up and run a successful operation. Engage with an innovative kid-friendly curricula. The secret sauce of our business model,the curricula is born in industry and developed inhouse to maximize real-world connections and educational alignment while providing fun-based learning experiences. Get trained to setup your business. Initial training includes go-to market planning, organizational planning, site selection, business development, marketing, hiring, operations, accounting, IT/technology setup, program administration, lead management/conversion and customer relations. Plus, training on launch curricula. We want you to succeed - receive ongoing support. Our cloud-based, STEM For Kids® proprietary curricula and the extensive Territory Management Process, are within your reach at any time. Get regular check-ins to ensure smooth operations, uncover issues and help you with solutions. Discover your inner child as you have fun with our system. If you so desire, learn some new skills as you work your way through our broad curricula ranging from engineering to computing to advanced manufacturing. Get the satisfaction of making a positive difference in your community as you enable youth and support local schools, PTAs & community organizations. Become part of our emerging system and join us as we make history. Partake in the many opportunities to grow and scale your business as most national and international markets are currently available. Earn a livelihood or replace your current income. Enjoy multiple year-round revenue streams. Choose the entry cost point to best fit your needs - regular or SFK Lite territory size. Initial investment is as low as $36,000 (including the initial franchise fee). Stretch your money while delivering a high quality program. We have perfected the tools and strategies to minimize your costs. Our asset-lite model provides for a mostly variable business model that is mobile and scales as you grow. Check current incentives being offered for US Veterans, recent college graduates, teachers and under-represented minorities. Why should I own a STEM For Kids educational franchise? 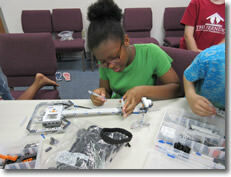 STEM For Kids is the only national program committed to making STEM fun and real. Born and raised with industry, STEM For Kids is unique in its strong ties to the real world of STEM. Programs are designed by engineers, people in the industry & educators to specifically address "so what" in a hands-on way. We seamlessly integrate critical life skills - the 4Cs of Communication, Collaboration, Critical Thinking and Creativity - in each program. STEM For Kids Franchise is innovatively structured to enable fast and cost effective deployment. Learn the proven STEM For Kids business model and get trained with techniques developed by people who have been in business. An asset-lite business model - minimal fixed assets and the convenience of running a business from home. Do you offer any special incentives? Yes. We are currently offering incentives to veterans, qualified teachers, recent college graduates and ethnic minorities who sign a franchise agreement with us for our regular territory. What is included in the initial investment estimate? The initial investment includes the following: the initial franchise fees, cost of equipment for your business office, cost of programming equipment, miscellaneous opening costs (legal, accounting, business insurance, marketing, etc.) and an estimate for 3-months of post-launch expenditures. You will find item details in our Franchise Disclosure Document (FDD). FDD is made available to you after you submit a signed application. Lately, I have been hearing about STEAM. What is it? Do you do STEAM? STEAM is Science, Technology, Engineering, Arts and Math. Proponents of a balance of art with sciences have coined this term. Yes, we do STEAM. Our STEM based curricula includes a seamless integration of 4Cs - Communication, Collaboration, Critical Thinking and Creativity - these are included so that children experience arts with STEM including language arts, history, creative expression using drawing, coloring, painting, role play, story-telling, etc. Will I conduct classes at my home? No. The STEM For Kids home-based business model implies that you can operate your general administration and business management from your home office or any office of your choosing. However, programs conducted with children are delivered at an approved site like a school, faith-based center or another community space. Does STEM For Kids provide financing? At STEM For Kids, we are committed to providing our franchisees with resources to enable you to own and operate your business. A strong financial plan is a big part of that. We have enlisted the expertise of Finance Store to assist our franchisees with ins and outs of funding their business. Am I required to have a STEM degree to qualify as a franchisee? 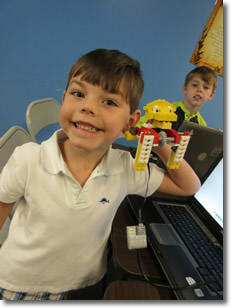 A degree in STEM education would be beneficial to you in running a STEM For Kids franchise. It is not required though. I took a break from work / decided to be a stay at home mom/dad. Now I want to get back to work. Is this a good opportunity for me? Congratulations for considering bringing your skills back to the economy. I am a new college graduate. I am just entering workforce or I have worked for only a few years. Is this a good opportunity for me? Your fresh perspectives and energy are needed to create excitement about STEM in communities. I am seeking a career change. What opportunity do I have? We wish you the best as you explore new career paths for you. How is the territory defined? We define a territory by a grouping of zipcodes. The assigned territory will give you access to a population of up to one million. Do I get an exclusive territory? Yes. We will not sell another STEM For Kids franchise in your territory. What do I get for the initial franchising fee and royalty? Initial training to setup and operate your business. Access to our proprietary Territory Management Process that provides you detailed operating procedures for conducting your STEM For Kids business. Covering all aspects of business including intial go-to market planning, organizational planning, site selection, business development, marketing, hiring, operations, accounting templates, IT/technology setup, program administration, lead management/conversion and customer relations. Help with devising your "beachhead" market srategy. Help with your launch press release. Access to marketing collaterals - flyers, documents, presentation templates to use for your marketing and business development efforts. Proposal templates so you can work on coverting your B2B leads expeditiously. Human Resources paperwork templates including employees and contractors. Training on our proprietary curricula and program delivery methods. Access to our proprietary set of curricula that includes our detailed instructional manuals, student handbook, program digital webpages and suggested programming calendars. STEM industry experience distilled into hands-on activities to make STEM fun and real while reinforcing educational standards. Benefit of our ongoing investments in currriculum development and maintenance. Which means, you get new programming activities and new curricula to generate mroe new and repeat sales. Scalable and mobile delivery model. Cloud-based information management infrastructure for ease of access supporting your mobility and scale. An exclusive territory to setup and grow your STEM For Kids Franchise. In US market, we provide you with a list of public and private schools in your territory with contact information so you can hit the ground running. Regular check-ins to ensure smooth operations, uncover issues and help you with solutions. 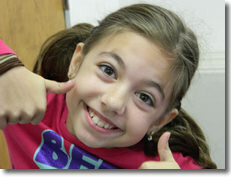 If you are looking for great returns and feel the deep desire to impact children, we want you! We are looking for franchise owners who are interested in STEM and understand its role in today's economy; who are or desire to become active in their communities and hungry to make a positive impact in young minds. People who possess an entrepreneurial agility with a drive to get results, open to learning, growing and having fun in the process. Experience in a STEM field, Sales, Business, Marketing or working with children is a plus. STEM For Kids is currently accepting inquiries from the following states: Wyoming, West Virginia, Wisconsin, Vermont, Utah, Texas, Tennessee, South Carolina, Pennsylvania, Oklahoma, Ohio, Nevada, New Mexico, New Jersey, New Hampshire, Nebraska, North Carolina, Montana, Mississippi, Missouri, Maine, Massachusetts, Louisiana, Kentucky, Kansas, Idaho, Iowa, Georgia, Florida, Delaware, Washington, D.C., Connecticut, Colorado, Arizona, Arkansas, Alabama, Alaska, Washington. Interested parties should have at least $20,000 in liquid capital to invest.